From public liability to contract works, tradesmen can choose from a number of insurance policies. Our quick guide helps you make sense of the options. As a tradesman, having the right insurance in place is vital for protecting you and your business against unforeseen costs. However, with so many different options out there, it can be difficult to know where to start. We’ve put together a quick guide to the different policies available and how they could help protect your business. 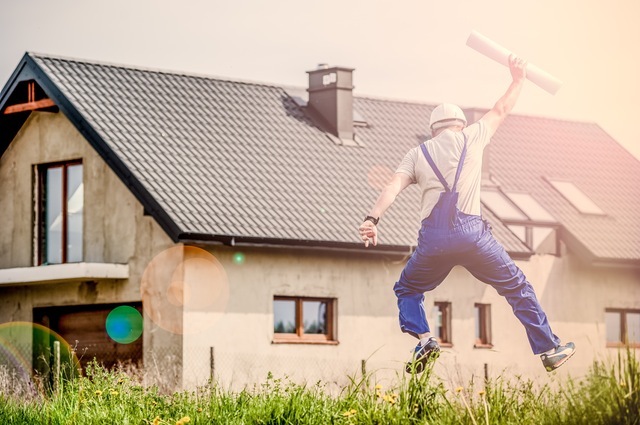 Although not legally required, public liability insurance is one of the most important policies a tradesman can have, and many client contracts will actually require that you have a policy in place. If you are accused of causing accidental damage to a property, or accidental bodily injury, public liability insurance for tradesmen will cover your legal defence costs. If you are at fault, the policy will also pay for any repairs needed or damages awarded. A tradesman is only as good as his tools, or so the saying goes, and the theft or loss of your tools or equipment could be disastrous for your business. A good tools insurance policy will cover you against the loss, damage or theft of hand tools, power tools and plant equipment. Many policies will also give you the option of covering any tools or equipment that are left in your van overnight. Speaking of vans, tradesmen usually rely on their vehicles, so don’t forget to take out specialist van insurance. If you employ other people in your business, with certain limited exceptions, employers’ liability insurance is compulsory under statute. This insures you against any compensation claims brought by your employees as a result of injury or illness sustained during the course of their work. Employers’ liability insurance protects you against single claims of up to £10 million, and failure to take out a policy could result in costly fines. If you work for yourself, an accident or illness that prevents you from working can be extremely costly for both you and your business. This is a particular concern for people working in the construction industry, which is more hazardous than most other sectors. A personal accident policy covers you against serious injury and, depending on the policy, death, paying out for expenses such as lost earnings and medical costs. This type of insurance covers construction work that is already in progress, and protects you against unforeseen events that prevent you from fulfilling a contract. For example, if a storm destroys a structure you have been working on, your contract works policy would cover the cost of redoing that work. Contract works insurance doesn’t cover all eventualities, but the risks covered generally include fire, vandalism, storm, theft and flood. If you provide advice, designs or a professional service to clients, you may want to consider taking out professional indemnity insurance. Mistakes sometimes happen and, in the event that they do, a professional indemnity policy will protect you against clients’ compensation claims for financial or professional loss. As you can see, there are plenty of options out there when it comes to insuring your business, and the right options for you will depend on a number of factors, including your budget, the type and size of your business, and how much risk you are prepared to take on. A good insurance broker should be able to talk you through the different options and help you build a personalised tradesmen insurance policy that is tailored to your individual needs.